After you log in please select "take interview" to complete your paperwork. Call us at (405) 454-0099 today. Welcome to Harrah Eye Clinic in Harrah. Dr. Candace Acord and the Harrah Eye Clinic team strive to provide the best in optometry services. We invite you to browse our website to learn more about our optometry services and join our patient family by scheduling an eye exam appointment at our Harrah office. Harrah Eye Clinic is a full service eye and vision care provider, accepting both eye emergencies as well as scheduled appointments. Patients throughout the Harrah area come to Harrah Eye Clinic because they know they will receive the personal attention and professional care that is our foundation. Dr. Acord and our team are dedicated to keeping our patients comfortable and well-informed at all times. At Harrah Eye Clinic, we will explain every exam and procedure and answer all of our patients' questions. Additionally, at Harrah Eye Clinic, we offer vision financing options and will work with vision insurance providers to ensure good eye health and vision care for all of our patients. Our one-on-one approach to optometry makes Dr. Acord and the Harrah Eye Clinic staff the eye and vision care providers of choice in the Harrah area. Our Harrah optometrist offers the following services: complete eye exams, contact lenses, glasses, glaucoma testing, and pre- and post-operative care. For a complete list of services, visit our services page or call our Harrah office at (405) 454-0099. At Harrah Eye Clinic, we are dedicated to providing high-quality optometry services in a comfortable environment.Call us at (405) 454-0099 or schedule an appointment today online. Dr. Candace Acord received her B.S. in Biochemistry from Oklahoma Baptist University in 2006 and went on to attend the Northeastern State University College of Optometry in Tahlequah, OK. She graduated with a Doctorate of Optometry degree in May 2010. 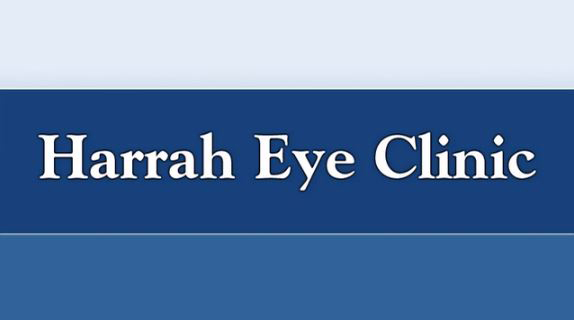 "I hadn't been to Harrah Eye Clinic in a few years, but my experience back was a great one. Everyone was extremely friendly, helpful, and professional." "This place is amazing!! My kids are very shy and don't talk to any body they don't know so this was a first eye doc visit for us and my kids wouldn't open their mouths lol the lady's their wer very nice and worked around my kids not talking and actually got 2 of em to talk by the end of the visit so yay lol for sure gonna be our eye doc for a long time!!! Very patient with the kiddos!!!" "Dr. Acord is amazing. She knew how much I wanted to wear contacts and she has worked tirelessly to find the right fit for me. The staff is very professional and friendly. I highly recommend this clinic to everyone."